Here we go again: Crazy person runs amok, kills randomly, and societyscrambles to explain it. DC Sniper, Columbine, Virginia Tech; all of which has been covered in this space over the past twelve years with no more insight than simply crazy persons hardly ever need a reason to be crazy, just as tigers have no other reason to hunt and kill and sharks to swim and feed, and so on. Crazy people do it for Jesus, Jodie Foster, Judas Priest, bad grades, dog chatter, Kool-Aid fix, poor economy, crappy parenting; you name it. This time it’s Fort Hood. It’s alienation. It’s ethnic confusion. It’s rejection of brainwashing. More to the point, it’s nature; random and cold and horrific. It is the world. It is life. It’s a crapshoot. This is how things go. There is no more analysis to proffer. However, the most intriguing aspect of this one surrounds its sociological, psychological, and pathological temperament and how it eerily reflects almost every corner of political, ideological and moral debates that fill the pages of newspapers and countless hours of cable television blather each week. Its all there; religious fanaticism, gun violence, geographical mayhem, xenophobia, bigotry, science, bleeding-heart liberalism and overt militarism. 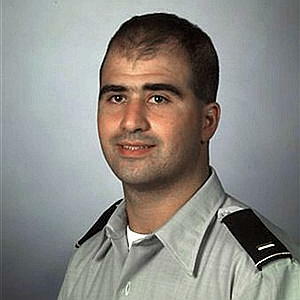 One man; Nidal Malik Hasan, a Muslim, psychiatrist, and Major in the United States Armed Forces kills thirteen people at an army base in Texas. Actually, when considering all this it is amazing Hasan made it this far without hurting himself or others. For an analogous example of this kind of crazy, one must return to Timothy Leary, the only other religious fanatic trained by the militarily to go off the deep end. There is a pretty good chance that if you visit the Lone Star State more than half a dozen times, you will die. I personally have known or know people who have known nearly ten people who’ve been brutally murdered or shot down in broad daylight in Texas. It’s the home office of rampant gun violence, which is why it repeatedly leads the nation in government-sanctioned executions. Add a military base to this lunacy, and you have the geographical makings of a human firing range. When Governor Rick Perry floated the idea of Texas seceding from the Union, I begged the federal government to let it, then invade it as a threatening force, kick the goofy cowboy assholes out and give it back to Mexico. But alas, the mere mention of Texas and the military in the same sentence opens old Bush Presidency wounds that have surfaced during the aftermath of the Fort Hood tragedy. Well, as mentioned before it is far more difficult to purchase a burrito in Texas than it is to acquire a semi-automatic weapon that can kill the largest contingent of people in the shortest amount of time. Hasan did not procure his murder weapon on a military base, but in a civilian store called — get this — Guns Galore. This is a gold mind for the anti-gun lobby, which when handed this kind of massacre can make Al Sharpton look bashful. A mere 24 hours after the shooting, there were solid reports out of Hollywood that prominent NRA board members attempted to dig up Chuck Heston to help fend off all comers. It’s a time-tested hot-button issue; the military is a cruel and antiquated systemic nightmare that eats its own and chooses to ignore the occasional loons that are sequestered inside, like the Catholic Church or the Hip-Hop Awards. However, as much as the anti-military industrial complex marauders are ready to pounce, so are the boot-heeled flag-wavers, who will mark this as an example of PC, liberal whiners, who insist on keeping weak, overly-emotional shrinks on the payroll; and as the days wore on sent the discussion further into why women or gays are allowed to serve in the rough-and-tumble army zeitgeist. And, of course, now that we have an apologetically dithering commander-in-chief who has watered down our readiness, what do you expect? This guy would have been better off a thrice-married Mormon. It is not a good time to be a Muslim in the military or for that matter the local convenience store, and now this. It naturally leads to a jingoistic backlash wherein before long there’s serious talk of al-qaeda and Taliban connections, Hasan’s alleged love letters to Islamic radical clerics and anonymous e-mails denouncing the Western Devil and the odd Jihad flying around. Then again, there are those who denounce any kind of religious fanaticism, which leads more times than not to Waco or Jim Jones or Charles Manson or the faithful driving car bombs into abortion clinics. But the big winners in this disaster are the neo-con cheerleaders, who went ballistic pointing out how much bombing, torturing, and nation-building this kind of mayhem merits. Oooh, Science is Bad is an oldie but goody. This is what happens when we take an inexact method of dissecting the human brain and separate it from a moral center, or perhaps to add the prior religious argument, take the inner psychological turmoil of a man too close to the realities of life while less-than gently balancing a radical spiritual quest for acceptance, and you have yourself a walking powder keg. Not to mention the U.S. military spending the better part of the last decade killing Muslims all over the place. But again, how much does crazy need other than crazy, whether it’s rock music, the Qur’an, a violent movie or suggestive cartoons, a bad marriage or a strange cocktail of anti-depressants to get motivated? Ah, and that brings us to our last and most thorny of issues: Preventing crazy. Let’s face it, anti-social behavior is a Dickensian orphan trapped beneath an apparition’s cloak; unfortunate, yet perpetual. We cannot halt it, no matter how many people suppose that it could have been avoided. “How did they not know?” Well, of course it’s suspected through certain actions, but to actually “know” a relatively disturbed man but with no prior history of any violence is going to wander out of a barracks like a robot, walk down to the ubiquitous gun shop, purchase a weapon and randomly fire it into a crowd of his fellow soldiers is hardly something that could be prevented without a time machine or a crystal ball, neither of which are real items, just as the idea that we can save innocent victims or keep the earth from boiling over or protect everyone from their diets, drugs, sexual appetites or self-mutilation. It’s a myth, like “Things happen for a reason”. Sometimes, actually, most times they do not. Sorry. What happened at Fort Hood is a terrible tragedy, but because it has no tangible explanation, it is unreasoned, haphazard, messy and incomprehensible, it creates a vacuum, and within that vacuum rhetoric, psychobabble and analysis creeps. It is as natural as the occasionally rare – thank goodness – crazy going crazy. Sleep tight.